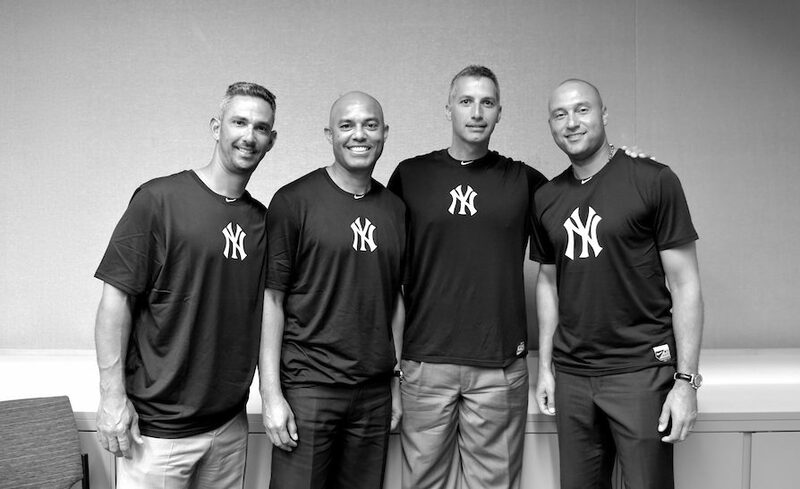 Almost 20 years after they won their first World Series together, the Yankees’ “Core Four” players remain very close. 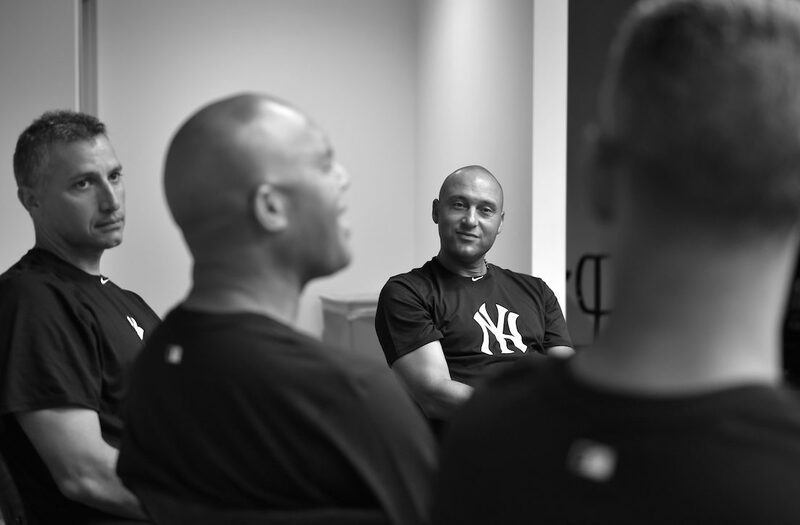 Following a ceremony at Yankee Stadium honoring the team, The Players’ Tribune sat down with Derek Jeter, Andy Pettitte, Jorge Posada and Mariano Rivera to discuss the season that sparked a dynasty. Was it Applebee’s or TGI Fridays? You’re right, it was Bennigan’s. Mo and I both got sent down to the minors on the same day in 1995. After it happened, we went across the street from our hotel to a Bennigan’s. We were both sitting in a booth just crying. I was 20 and Mo, I think you were… what, 33 or 34? It was terrible, man. We were crushed. It hurt. It hurt so bad. Now I know how Jorge must have felt the entire year in ’96 because he got sent up and down like a yo-yo. If anyone got injured, I was the first one they called up. Then when they got healthy, I would get sent back down. It was tough. During spring training in ’96? Shoot, I was just trying to make the team. That was all I cared about. And I was really excited to get to Tampa to start camp because I thought we had hired a new manager with the last name Torres. So I’m thinking, This is great! This man speaks Spanish! We moved our training to Tampa that year and were working out in a brand new facility. I remember at the end of March, Joe told me that I wasn’t going to make the team and would be sent down to Triple A. It was heartbreaking. I thought I had a chance of making it because Jim Leyritz was banged up, but he got healthy right after the season began. I was there to see Derek’s first home run in Cleveland … but then I got sent back down four days later. What made Mr. Torre a great manager for a team like ours is that he had patience, and he instilled that quality in all of us. That was especially important in New York because the expectation level is unmatched. If you’re a young player and you’re struggling there, it’s easy to unravel because the media will let you know about it. But he understood we were still learning. He let us know he was on our side. The last thing you want to see if you’re struggling is — when you come back to the dugout — the manager throwing things in the air, screaming and moaning. But Mr. T would always remain calm. Always even-keeled. If you made an error, he’d be the first person you looked at, but his expression never changed. That let us know he had our back. After the game, when he spoke to the media, he never blamed anybody but himself. He always took the blame after a loss. I think Joe had a certain empathy because he never forgot how hard the game was. He used to say, “I’ve hit .360 and I’ve hit .210.” He was never antsy or nervous, and I agree that his calm demeanor definitely rubbed off on us. If the manager wasn’t freaking out, why should we? It gave us the ability to relax, and also a lot of confidence when we did play well. Whether we were winning or losing, his managing style was consistent. The one thing that made things easy is that Joe was good about talking to us. In ’95, Showalter was a great manager, but he spoke mostly to the older players. So as a result, I didn’t know where I stood. But Joe always talked to us, made us feel comfortable. He was like my dad. He was really a father figure-type. He’d give you a hug and ask if everything was all right at home. He cared about us and showed it. He didn’t make our relationship about baseball, it was about family. 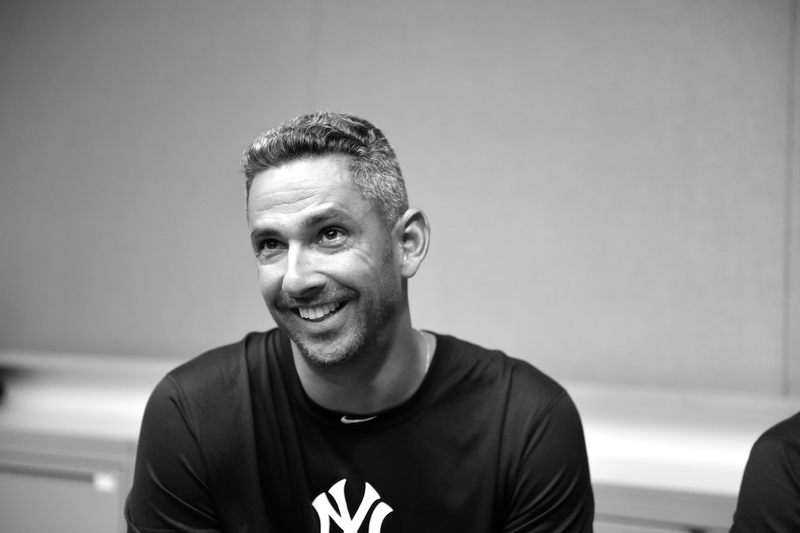 And he brought that family atmosphere right into the clubhouse. Derek, do you remember when we got called up and we drove into the city? We got a little lost so we asked a guy for directions? And that guy just blew up at us! He was screaming. And I remember thinking, Oh, my God, if this is New York and people are like this … oh, my God … this is bad. That was funny. 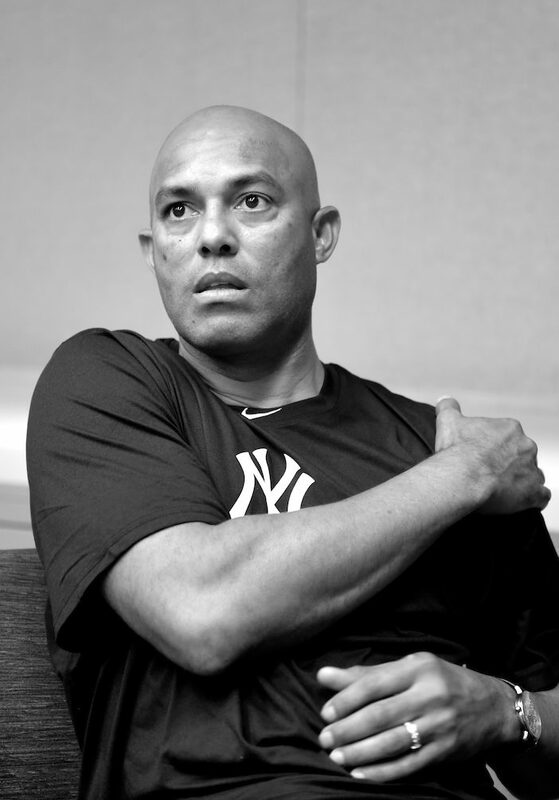 But really, after I got settled, I knew that I never wanted to play for anyone else but the Yankees. And a big part of that is the people in New York. There’s no other city like this. We had fun, but that didn’t mean we weren’t always on our toes. We were all scared to death of the Boss. Because Mr. Steinbrenner would get rid of you. No hesitation. If you weren’t up to his standard, you could be traded. We all knew that. We all worked hard during the off-season because we didn’t want to get traded. Honestly, thank God for Bernie Williams. If Bernie Williams doesn’t do well, I don’t think any of us would have been here. I was in trade talks in ’94 and ’95. But Bernie came up through the Yankees system and did well. Then Mo and Andy did well in ’95. Derek took over the shortstop job on Opening Day ’96. So instead of trading for a catcher, they decided to trust me with the spot. I had a good relationship with the Boss, but I think it’s fair to say that he ruled by fear. It was a tactic he used to get the most out of us. Everyone was scared of him. Everyone was scared to death of him. And if he intimidated you, you were done. Forget about the majors, when you were in the minor leagues, Steinbrenner was even more scary. He’d walk around the locker room and just… look at people. He’d just look at us, make sure that we were up to code. If you showed you were intimidated by the Boss, you could forget about it. If you couldn’t even handle him, how were you going to handle playing in New York? But if you acted like a professional and you weren’t scared, you earned his respect. The discipline was intense. You could only wear one chain. You had to be clean-shaven. No beards. No hair touching your uniform. Everything was measured and had to be perfect. 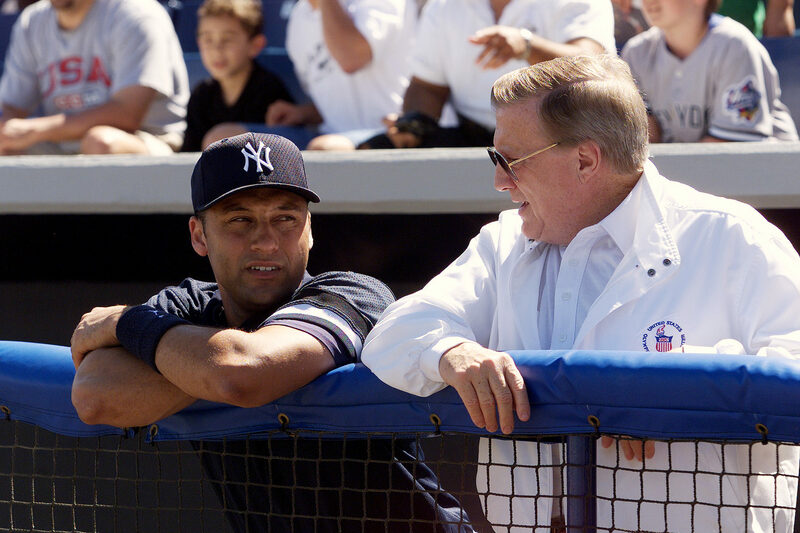 He made it clear that Yankees look a certain way, and we were so young that it stuck with us. It kind of brainwashed us in the minor leagues. But I think it did good for us. It instilled values in us. All we wanted to do was win. And the beauty was, whenever spring training came, we were ready to play. None of us would ever show up out of shape. You might see other guys huffing and puking. But we were always ready. 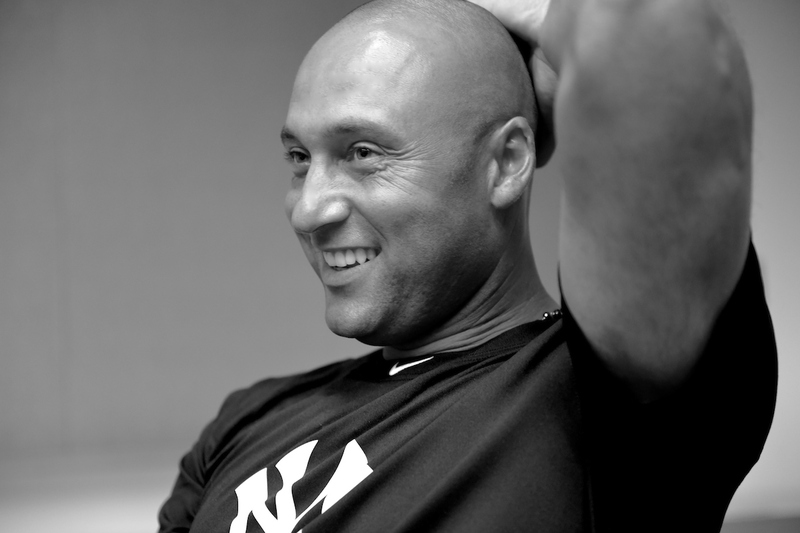 When we came up with the Yankees, it was clear that you couldn’t be satisfied with just being on the team. There was a lot of pressure during the off-season to get better. And fortunately, with these guys, we all pushed each other. We also had amazing vets to learn from. We got to see how Mattingly and Boggs went about their business. When you watched professionals like them work, you realized that this was a job. We really lucked out because the older players were good to us. I’ll tell you how good it was: I don’t think they even dressed any of us up that rookie year. It was a blessing. Oh they dressed me up in ’97. They decided to wait a year and then dress the rookies. So in ’97 me and Ramiro [Mendoza] got it. I would not have looked good in a getup like yours. They dressed me up as an old back-in-the-day Gatsby type. It was funny. Hell, I kept the suit and wore it out a couple of weekends later. I looked good. I don’t remember when it happened exactly, but the team started rolling in the second half. For most of that second half, Baltimore was right behind us, but then we just took off. That Cecil Fielder trade was huge. And bringing Strawberry in was very, very key. Cecil was vocal and a lot of fun. Both him and Tim Raines kept things light. And then Straw comes in and he lifted us because he was hitting really clutch home runs. In the playoffs against Baltimore, I think he hit like three home runs. He was hot. And Cecil was one of the best home run hitters in the game at that time. So to get a guy like that with the team we already had, it was like, Yeah, we’re getting this done. Not to mention the bullpen was amazing. Oh yeah “Catfish.” He was here in ’96? Oh yeah, he was big for us. Geez, remember your teammates, man. The World Series was kind of a different thing before interleague play existed. There was much less familiarity between the teams. We played against the Braves, who I’d only watched on television. But we all knew how good they were, they were always in the playoffs. They were loaded with pitching, with guys like Smoltz, Maddux, Glavine, Avery, Wohlers. Not to mention Chipper and Fred McGriff. So there were so many guys you’d heard of but never actually seen play up close. That was part of what made the World Series so intriguing. I think that’s been lost a little now that everybody plays against each other. I remember I started Game 1 and just had a disastrous start. I allowed seven runs in two innings and we lost 12–1. I just didn’t do a good job handling my emotions as I pitched. Yes, it was a huge stage, but I still made too much of it and got out of my rhythm. I just wasn’t ready to handle the pressure of a World Series game. Then when we lost the second game, I was just miserable. I thought that I had blown this World Series for us. Part of me thought we could come back, but when you looked at that Braves pitching staff it was difficult to see where the wins were going to come from. All I wanted was another chance. If I got another start, it would mean we had made it to Game 5, and we still had life. We knew that we had a good team. We just needed an opportunity to get back in it. We took Game 3 in Atlanta, which gave us life. 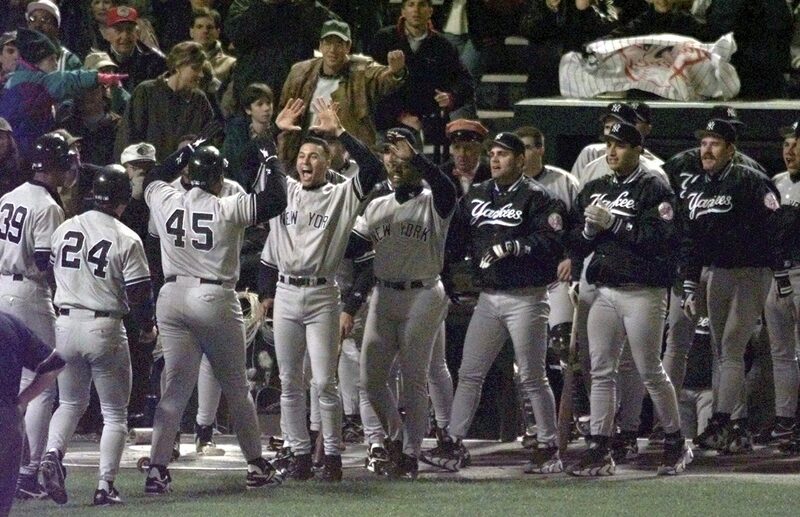 Then when Leyritz hit that home run in Game 4, I was like, Man this is ours. This is ours to take. That was my mentality when I took the mound in Game 5. It wasn’t, Maybe we can win. It was, This is ours. Smoltz was pitching against us, so thank goodness they made an error and we scored a run on him. But I ended up pitching a good game after that terrible performance in Game 1. Coming back from that was a huge moment in my career. It was fun, man. Everything went our way after that Leyritz home run. That 1996 World Series of course is really special to all of us now, but at the time, after we won, we put it behind us. It wasn’t like all of ’97 we were talking about how well we did the year before. We were always looking forward. What ’96 gave all of us was that winning feeling. When you have it, you need more of it. Our team experienced it really young and then all kept chasing it throughout our careers. We ended up losing to the Indians in the ALDS in ’97, which was tough because we thought we had a team that could win it all again. Ultimately, it probably helped us in the long run to know how bad it feels to lose. 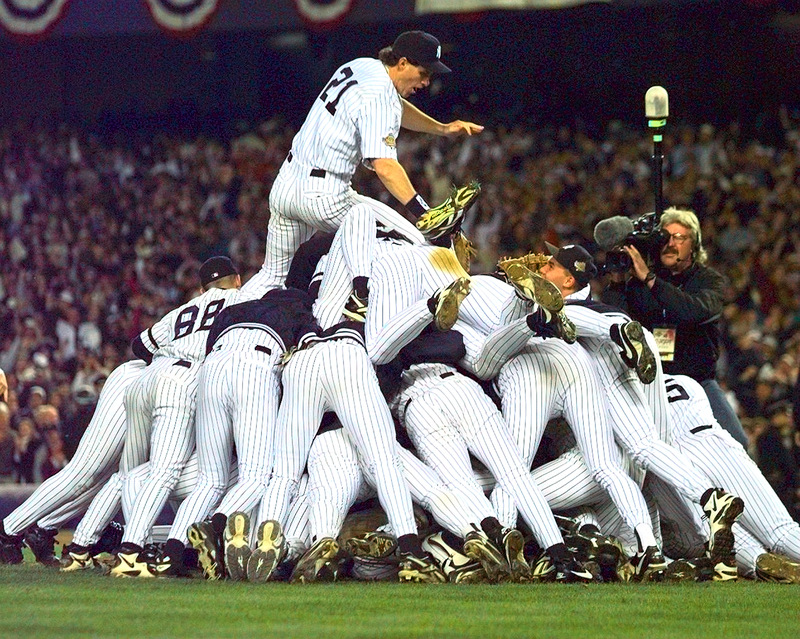 I think that pain made us come back stronger than ever in ’98 when we won our second World Series. The team got closer and closer over the years because, just like how we knew we would be gone if we didn’t perform well, we also saw that we would be taken care of if we did. We all really wanted to be here. We wanted to win in New York. Whenever we lost a game, I couldn’t wait to come back to the ballpark the next day and play again. At the time, what we did looked easy, but it wasn’t easy. We worked at it constantly. And part of it was that we all took the success of the franchise personally. It’s going to be hard to find a group of guys like we had again — guys who came up together and just every day wanted to go at it. That’s where it all starts. During my career, I never had to worry about you guys. I never had to question whether you were ready. I always knew you were prepared to play and you were going to work hard. And most importantly, I knew whether we won or lost meant just as much to you as it did to me.